Parker Randall UAE is committed to provide professional and optimal efficiency to our partner-clients. We offer our clients the highest quality services and implement best practices in our services. 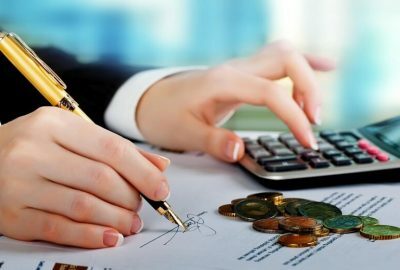 Collectively, we provide professional services that assist the growth and competitiveness of business in the fields of audit and assurance, accountancy, taxation, business advisory, management and financial consultancy, payroll outsourcing, training and accreditation, IT related services, Islamic finance, legal & judicial services, new business set-up and company formation in Dubai, Abu Dhabi, Sharjah, Ras al Khaima (RAK), Free Zones and all over the UAE. Audits serve important functions for the company and add value for all its stakeholders. As one of the leading audit firms in the UAE, we take pride in tailoring our approach to meet our client’s audit requirements. Our audit and assurance practice provides both financial statement verification and integrated audit services. The success of a business depends on the Accounting. A competent professional accountant in a business is an invaluable asset to the company. Join with us and get services from high qualified experience accountants. Parker Randall UAE is one of the leading accounting firms in Dubai, Abu Dhabi and Sharjah. The UAE is going to start implementing a value added tax (VAT) rate of five per cent from 1st January 2018 and it will be applied all over the states in the UAE including Abu Dhabi, Dubai and Sharjah. Parker Randall UAE provides VAT, income tax & corporate tax advisory, planning and preparation services in Dubai, Abu Dhabi & Sharjah. Odoo ERP is an Integrated, Complete and Modular Business Management Suite. Grow your business with Odoo ERP. Parker Randall UAE provides Odoo ERP solutions (Enterprise resource planning). Parker Randall UAE is an ERP software company in Dubai, Abu Dhabi & Sharjah provides Odoo ERP system, solutions, training & implementation to many companies in the UAE. Parker Randall Training Division a global private training company, has opened its office in Abu Dhabi where it offers professional and highly specialized courses in all business-related fields, such as: management, human resources, public relations, health care, marketing, accounting, advertising, secretarial skills and office management, tourism, finance, audit, banking and technical courses. We offer our courses in both Arabic and English language. We offer training on various business and professional courses in Dubai, Abu Dhabi and all over the UAE. The World Bank has identified the UAE as one of the least cumbersome countries in which to set up a new business. According to it’s 2016 Doing Business ranking, United Arab Emirates is ranked 31 out of 189 economies in the world and first in Arab world for 3rd year in row. Parker Randall UAE, one of the leading professional firms in UAE, provides spectrum of services for business set-up in Abu Dhabi, Dubai, Sharjah, Ras Al Khaimah, Ajman, Fujairah and Umm-al-Quwain including all Free Zones in UAE. Parker Randall UAE will help you to set up Free Zone and Off Shore Companies in Abu Dhabi, Dubai & Sharjah. Islamic finance is the fastest-growing segment of the global financial system. We offer wide range of Islamic Finance Advisory services to our clients. Our Islamic finance experts will help you in planning, managing and operating your businesses in compliance with Islamic Shari’a. We offer wide range Islamic Finance Advisory services to our clients. Parker Randall UAE provides Legal consultancy, advisory services on UAE federal commercial companies law & labor law and arbitration services in Dubai, Abu Dhabi & Sharjah. Parker Randall UAE is the approved arbitration financial expert by Courts of Abu Dhabi and Dubai. 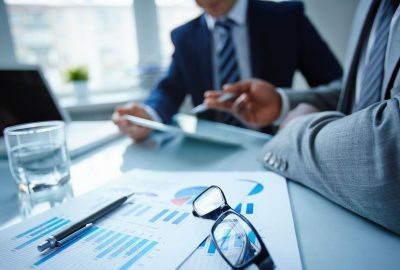 Our legal advisors provide various legal advices on the dispute between company management and employees.